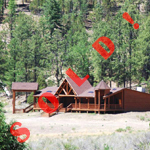 Home sits within a small Ponderosa Forest at 8,000 feet elevation, directly off of Hwy 32, easy gated deeded access, overlooks a lush sub-irrigated valley that borders National Forest which is easily accessed. Watch the elk graze from this home! Over 140 acres, lots of grass and trees with phenomenal views. Well-fenced, private well, connected to public power. 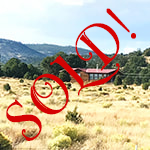 Reduced from $141,190 to $98,700! This is one of those rare, see-it-to-believe-it type of places. 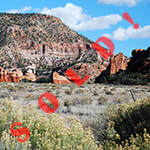 84 acres of pasture leading to stunning red rock bluffs and formations. No improvements, electricity less than a mile away. Cowboy country at its best! This home is well maintained with new terracotta tile floors in both bathrooms, kitchen and entry (unfinished in all bedrooms and living/dining area, new carpet is available for installation), large porch with plenty of room for a cook-out. Nestled in pinion, cedar and juniper trees this home allows for a quiet and peaceful lifestyle. A beautifully maintained single-wide manufactured home in a quiet setting with views, trees, and a hill behind it protecting it from wind and weather. A 800' well pumps water to a 3,000 gal storage tank. 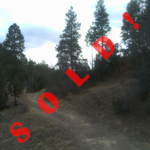 all tools, wooded secluded lot, not fenced, easy access year-round, area with very large views. 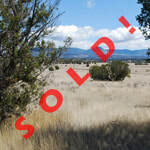 160 deeded acres snugly sitting in the middle of thousands of acres of national forest inholding. Property includes 3bed/2bath rock main house with large porch and sun room, old homestead house (now sauna! ), 2 log barns with shop, fully renovated 2bed/1bath "cowboy bunk house" with wood-paneled office, a third 2bed/1bath "manager's house" with incredible views - as well as working solar panels, insulated workshop, runway with airplane hangar and lots, lots more. 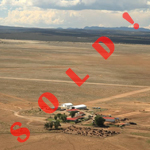 A large operating cattle and recreational ranch totaling over 173,000± acres, a combination of vast grasslands, foothills and arroyos. 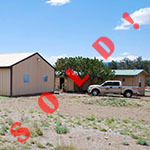 Includes main ranch residence, two caretaker apartments, office, bunkhouse, shop, garage, hay storage, scales, corrals, shipping pens, small aircraft hangar, and dirt landing strip. 1,386 deeded acres of private rolling meadows, rock canyons, and small forests, including a handsome ranch headquarters and guest house featuring open kitchen, polished brick floors, floor-to-ceiling windows for awe-inspiring views across large porches, custom-built wood-burning oven, dog kennels, and much, much more! Over 2,600 acres of varied terrain, from sloping grasslands to rocky ridges and mesas, surrounded by expansive public land. Historic country home on the property, several outbuildings, barn, permanent horse corrals with all the trimming, located in the middle of New Mexico's finest hunting land; everything the discriminating ranch buyer needs! 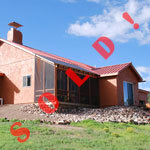 Reduced from $1,395,000 to $995,000! 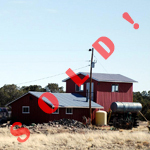 This ranch is a rare in-holding, one of the very few that is entirely surrounded by public lands, BLM on two sides and Apache National Forest on two sides. It makes a perfect hunting base camp. 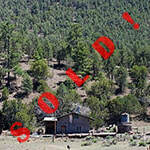 Adobe cabin on an extensive land bordering Gila and Apache National Forests. Barns, corrals, windmill well, grass pasture with wildflowers, and wooded rolling hills of cedar and pine. 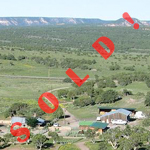 Reduced from ﻿$950,000﻿ to $499,500! A gorgeous white Adobe home with a lush wildflower garden overlooks this privately-owned irrigation farm along the San Francisco River in southwestern New Mexico. This ranch lies approx. 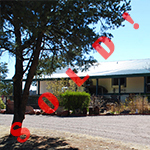 6 miles north of HWY 60 equally between Quemado, NM and Springerville, AZ and is nestled in a peaceful, private, beautifully green landscaped cul-de-sac setting. 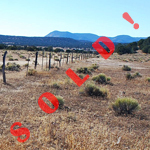 Spectacular ranch land in the foothills of the Sangre de Cristo mountains with stunning mountain views and a picturesque valley below. 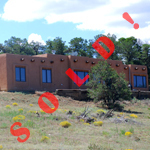 Reduced from $850,000 to $796,650! Commanding 2-story lodge on 100 acres, like-new inside and out with 3 bedrooms and a huge storage cellar. Floors of laminate wood, propane gas and wood burning stove. Property also includes two barns, two wells, excellent access and, of course, incredible views. 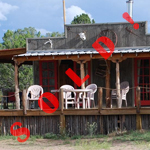 Reduced from $345,000 to $295,000! A former private boarding school tucked in a quiet valley, now an in-holding surrounded by protected national forest. Includes log-sided ex-classroom, kitchen/dining hall, dorms, manager's residence, basketball court, and wells, all connected with county roads and most with working heat, water, and power. Fabulous 2,353-square-foot immaculate home with guest cabin, radiant heating underneath ceramic tile floors, second floor with office, wraparound porch with hot tub, and a garage with a sauna. 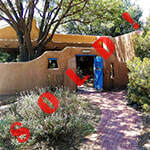 Reduced from $495,000 to $349,000! The ranch features gorgeous views from several of its locations onto the Sawtooth and Datil Mountain Ranges which are only around 4 miles to its southeast. 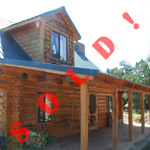 Log cabin, lodge, pond, airstrip, two restored homestead cabins, barns, corrals, and more. 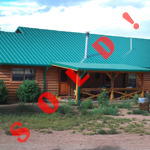 160 deeded acres complete with 2,500 sq ft ranch house with covered porch, heated sunroom, and hot tub, wooden barn, fabric-covered Quanza, metal shop, shipping container for feed, RV park, drip irrigated yard, shooting range, and much more! A majestic custom-built home on 80 acres with radiant floor heat, wood burning fireplace, Jan instant hot water heater, granite counters in master bath (his & hers), marble tile in shower & kitchen counter, wrap-around porch and lots more. 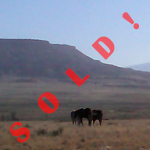 Horse training facility and cattle operation on 235 deeded acres, plus 2,600 acres BLM lease. 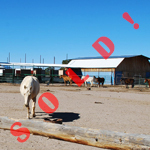 Includes a barn with 4 stalls and 18 pens, a separate barn/shop, 40’ storage container, well, and 5x trailer/camper hookup areas; the perfect horse and ranching operation! Picture-perfect log home with pine floors and ceilings, two floors, all the ranch house trimmings, and an 8-foot wraparound porch with stunning views. Excellent access, private location. Tremendous views of Mount Taylor, gramma grass, stunning red/yellow sandstone formations. 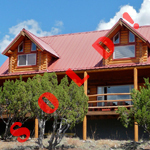 Mountainous property with incredible views near Pie Town. Elk & deer, bear, hunting - ideal for weekend retreat or wilderness living. Ponderosa pines, cedar, oak trees abound. Built in 1884, this restaurant features antique furnishings, a full kitchen and dining area, as well as exterior patio seating. 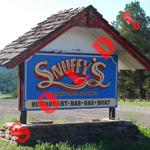 Property also includes a tackle shop, grocery store, and boat rental at the restaurant's own marina. Log lodge on 255 acres near Pie Town, Catron County. New metal barn, single-wide mobile home, wood hay barn, camper hook-ups for a campground, corrals, and a well. Country living on 40 private, secluded acres with a fabulous house on its own well, public electricity, 2 shops (one is 2-story), and an old barn for horses or livestock. 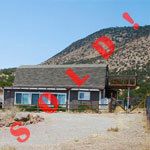 Reduced from $275,000 to $249,000! Exquisite 2,250 square foot country villa with vaulted ceilings, hand-paintings, custom mantlepiece and wood burning fireplaces. Also includes irrigated greenhouse, white ranch-style fencing, and garage. 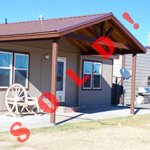 Reduced from $249,000 to $199,900! Pristine 2,240 square-foot home with grand sunset views, sells move-in ready. 2 large living areas, 4 bedrooms, 2 full baths. Southwest architectural style & accents, artificial deck. A great ranchette! 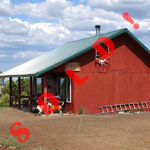 Nice, small horse ranch with workshop, car parking area, playroom with pool table and exercise machine, 280' deep well, raised storage tank, all-round fencing, horse stalls, corrals, and more! 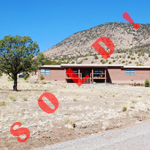 201.54 deeded acres of expansive, open country land, featuring rock formations, piñon, cedar, and pine forests, and stunning views in all directions of the Plains of San Augustin and the Magdalena Mountains. 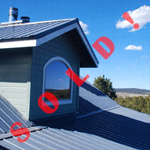 Farm house remodeled in 2012 with new metal roof, wood floors, ceramic tile, jacuzzi tub. Irrigated yard, 2-car garage w/shop, 2 metal barns, horse stall and corral, alfalfa field, and much, much more! Hidden custom-built cottage near the majestic Sawtooth Mountains. Pine ceilings and walls, wood-burning fireplaces, and much more! 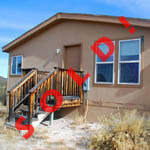 Reduced from $175,000 to $119,900! 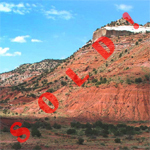 Located in McKinley County in western New Mexico, these lots are subdivided lots within Red Canyon Ranches which feature a stunning panorama of red sandstone rock walls, canyons and hoodoos, with abundant grasslands as well as pine, cedar and pinion trees. An immaculately maintained 1,440 square foot home, including shop, carpeted rooms, wood stove, deck, tree house for the kids, landscaped grounds, historic log home, and much more! 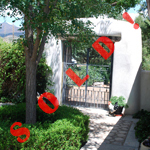 Reduced from $175,000 to $145,000! 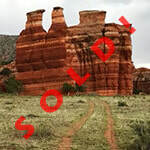 A beautiful lot in McKinley County featuring stunning red sandstone rock formations and canyons, abundant grasslands and even thousand-year-old petroglyphs. A rare and unusual find for private ownership! Two-story cabin on 10 acres, cozy and spacious all at once. Balconies, private well, two-car garage, and killer views complete this picture. 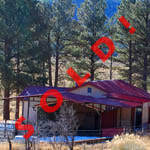 Reduced from $149,900 to ﻿﻿$98,500! Looking for somewhere with excellent access, 5 minutes from town, and yet quiet and remote? This is your place! 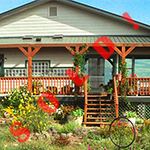 This is a bright house settled on 3 lots in hilly elk country with great views, bordering BLM land. 20 acres of horse property with gravel roads, 2 bed 2 bath main house with enclosed mudroom, solar powered well, electric-fenced pastures, greenhouse and lots more! Fabulous home close to the NM / AZ border. Quiet and secluded, well-maintained home with enclosed porch, viewing deck, and more. 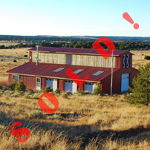 Includes detached 3-part barn with shop. 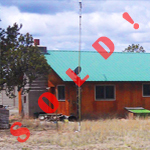 Reduced from $129,500 to $79,900! 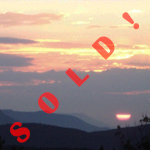 A pretty, partially wooded lot with mountain views and gate access to state land. Includes a Steel Masters building, a well, and trailer parking area with electric and water hookups. Also includes public electricity, telephone, and strong cell signal. 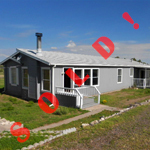 Reduced from ﻿$64,900 to $39,900! 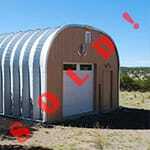 This apartment is inside a beautiful red and white barn on the New Mexico / Arizona border with large overhead doors, full stalls, steel catch pens, underground storage tank, and much more. 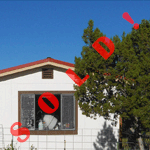 Reduced from $125,000 to $99,900! This property is extremely sheltered and yet less than 1/2 mile from Hwy 12. Its steep hill protects it from any view or sounds on the highway or in the small town of Aragon. 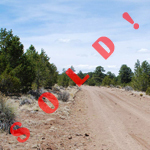 A fabulous forested lot for hunting, horseback riding, or to build a quiet retirement home. Good mainland access, near national forest and a stunning canyon. Completely remodeled single-wide mobile home furnished with log siding, covered porches, hardwood and tile flooring, thermopane windows. Move-in ready, landscaped yard, with its own well and brilliant views. 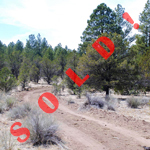 A fabulous lot to hunt, near national forest, a gorgeous valley, good country access. Build here and retire, or use as quiet and secluded weekend retreat. 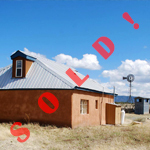 140 acres of property near Tucumcari, Guadalupe County, with electricity and an adobe ruin. 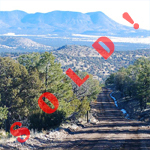 Surrounded on all sides by gorgeous views, rock formations, cedar and pinon trees, and mountains. 150 miles southwest of Albuquerque, perfect base camp to hunt big elk. 1/2 mile from Teepee Ranch Community Center and 1/2 hour from Datil. Your possibilities to recoup from the hectic life in the city are endless here!